What Evidence is Used in a Car Accident Claim? After a car accident, you (along with an attorney), must prove two main elements in order to qualify for damages: the accident was the result of someone’s negligence and that you suffered injuries. Providing evidence of your physical injuries, as well as the damages (financial costs), are the most important pieces of evidence for any personal injury claim. However, when you start mounting your case, you need evidence. 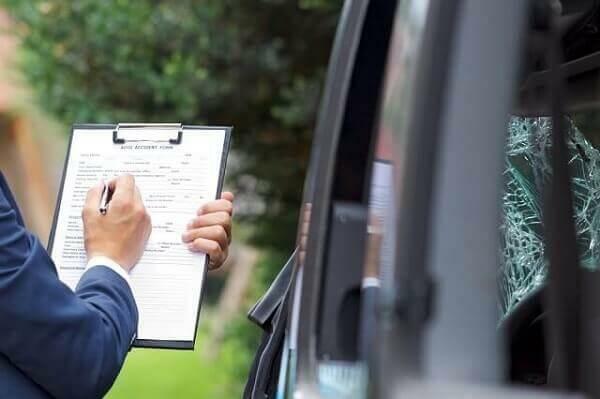 Your car accident lawyer will help you gather the necessary evidence, but there are a few documents and items you can gather to help make the process easier. As the plaintiff, you carry the burden of proof in your lawsuit. That means you are required to show with a preponderance of the evidence that the defendant was negligent and the cause of your injuries and damages. Photographs – Pictures of your injuries immediately after the accident are critical. By the time you are in court, most of your injuries will have healed. You want the judge or jury to fully understand the extent of your injuries, and to do that, you need photographs. Medical Records – Medical records are a critical component for any personal injury claim. You must show that you have been to the physician, document the injuries associated with the incident, and have records proving the tests, treatments, surgeries, and more were all related to your injuries. Expert Testimony – Often the testimony of a physician or medical expert is necessary to help prove that the injuries you suffered correlate with the accident. Also, it helps explain the extent of your injuries to the jury, including how those injuries may impact you for the rest of your life. Gathering evidence for your case can be difficult, especially if you are severely injured and cannot take photographs yourself. Ask family and friends to assist you with evidence collection, even if you are not sure you will file a personal injury claim. When you can, document everything you remember about the accident. This includes the date and time of the accident, what you were doing, and what you remember. The sooner you document this, the better. Most people will forget minor details hours to a few days after the incident. Research all medical records, keep billing statements, and have prescriptions saved so that you can provide your injury attorney with as much evidence as possible. Any bills you pay out of pocket, such as property damage or medical costs, should have a receipt and proof of payment. While most of the initial evidence collection falls on you, there are items that your personal injury lawyer can assist you with. Also, an injury lawyer in Atlanta has access to investigators and can request records on your behalf — helping you push past the red tape. After an accident, have your first call be to the accident team at Van Sant Law,.